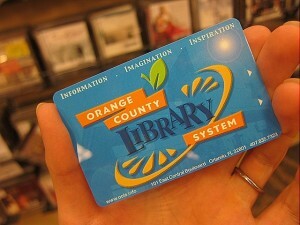 Library Cards/Student ID's - Iteam Resources Inc.
iTeam has been supplying library cards and student id cards for over a decade. 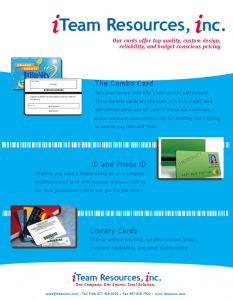 We can design and provide any style of card with any option, in any quantity. 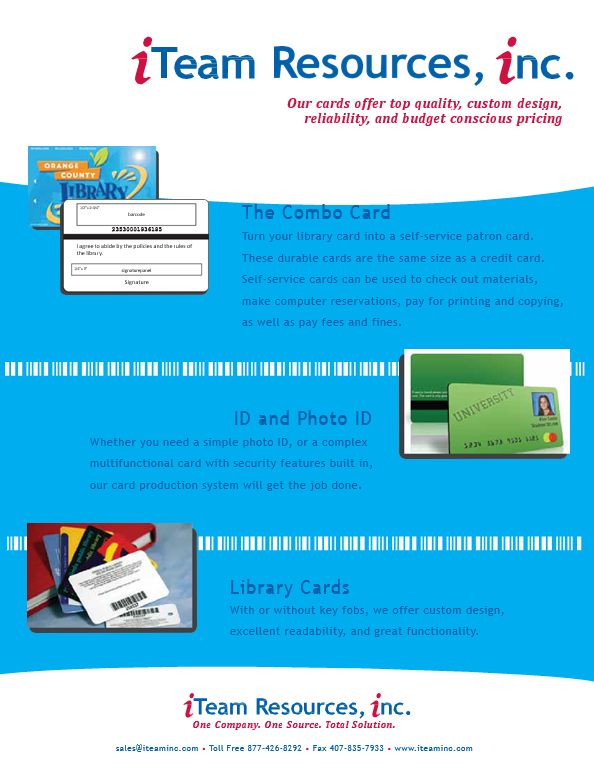 Click this link to send us your card inquiry and specifications for a free quote. 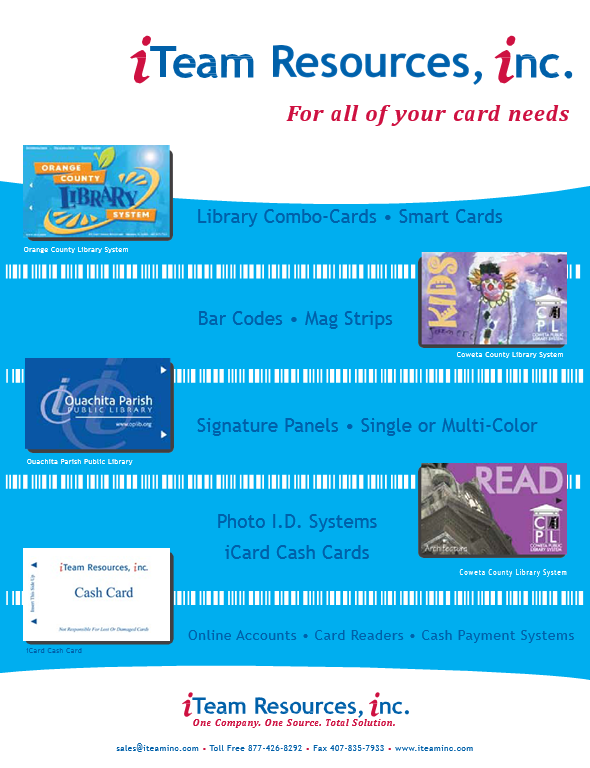 Photo ID Systems, iCard Cash Cards. Cash Payment Systems and POS.